Last week came news that Damen and Mariotti were not working together on the two new Seabourn ships, having decided in February to end their short-lived cruise partnership. Last Wednesday, we learned that Damen Shipyards’ first cruise ship contract was for an innovative 220-berth Polar Class 6 expedition cruise yacht for SeaDream Yacht Club. 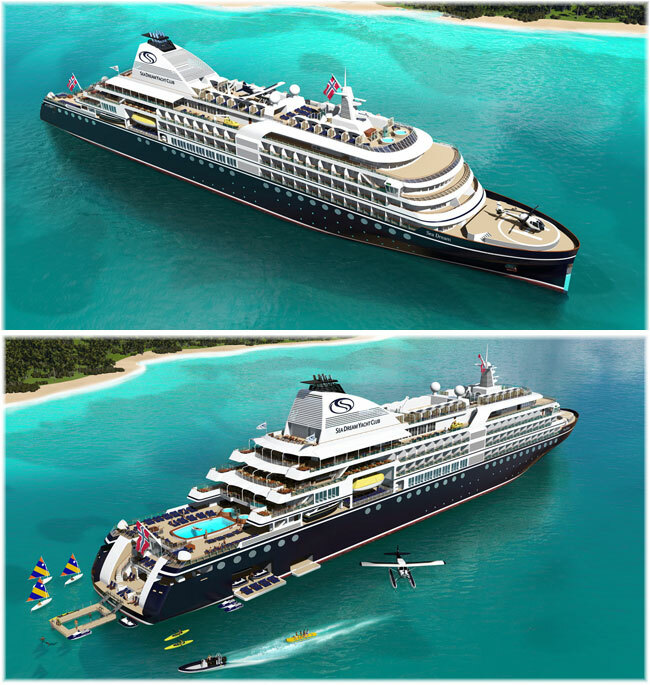 She will be named SeaDream Innovation. The Dublin Port Company has recently announced plans to restrict the number of annual cruise ship calls to the Irish city to 80 from 2021 – half as many as the 160 that called in 2018. As part of the restrictions, only two large vessels per week will be allowed during the summer season and one per week in the winter, while turnarounds will be abolished. 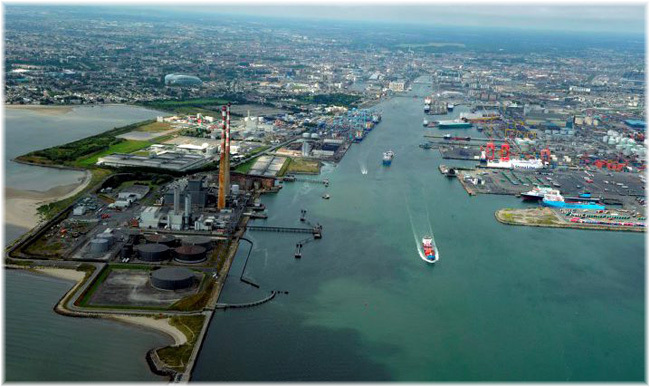 Dublin Port Company said the plan would create a “better balance” its allocation of ship berths due to “huge growth” in cargo volume in recent years and the need to pay for infrastructure works. The port also cited the need to create space for cargo shipping due to Brexit. CLIA, the Cruise Lines International Association, said ending turnarounds would remove 120 calls and 100,000 passengers annually from the port. More than 160 ship calls will take place this year, while 140 are currently scheduled for 2020. Cruise & Maritime Voyages, with 13 planned calls, and Holland America Group, with 12, said they were reviewing the situation regarding their Dublin capacity. Viking Cruises’ 749-foot Viking Sky had hundreds of its passengers airlifted to safety over the weekend and has now been towed into the port of Molde in Norway. The ships had lost all its engines and been in danger of running onto the rocks on the Norwegian coast, narrowly escaping what could have been a much more serious situation. About 900 passengers and crew were still onboard the Viking Sky when it arrived at Molde on Sunday afternoon. Five helicopters had earlier winched 479 people to safety as huge waves tossed the ship around. Twenty people were treated for injuries including broken bones, cuts and bruises, rescuers said. Social media footage showed chairs, large pot plants and other furniture on the ship rolling across the floor and crashing into walls. Parts of the ceiling were falling down on to passengers as the ship yawed heavily. Windows were broken in one part of the ship and cold water poured over their feet. The ship had started struggling with engine problems in bad weather off Norway’s west coast on Saturday afternoon, in an area known for rough, unpredictable waters. It reportedly issued a mayday call when it started drifting towards the rocky shore. Police said the crew managed to anchor off the coast near the town of Ålesund. The evacuations took place in very difficult conditions. Norwegian media reported gusts of up to 38 knots and waves over eight metres in an area known for its rough, frigid waters. Viking Cruises’ chairman, Torstein Hagen, told the Norwegian newspaper VG the events were “some of the worst I have been involved in, but now it looks like it’s going well in the end and that we’ve been lucky”.